A partner since joining Isler in 1997, Dale Glasser currently serves as the Firm’s Co-Managing Member. Dale’s career prior to joining Isler spanned a period of 15 years. During that time he was a sole practitioner and was earlier affiliated with a national CPA firm, where, in addition to his professional responsibilities, he served as recruiting coordinator. Dale’s professional focus includes his expertise in three primary areas of service: proactive on-site and off-site consultation relating to tax, financial and business matters for closely-held entities; consultation for the healthcare industry, and financial and tax management for high net worth individuals and professional athletes. 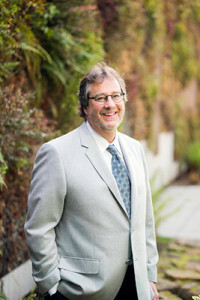 Dale has served as a professor at Mount Hood Community College, is active in his community and is a member of the Board of Directors for Vital Life Foundation. He and his wife Linda enjoy traveling and golfing. Dale has a love for nature and people.